This card is graded by Beckett Grading Service at a 9.5 Gem Mint! 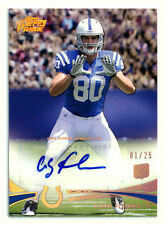 2012 TOPPS PRIME COBY FLEENER RC COPPER RAINBOW AUTO AUTOGRAPH SAINTS 01/25 1/1! Card is in NM-MT condition or better. Great item for any collector! MAKES A GREAT GIFT FOR ANY INDIANAPOLIS COLTS FAN! New cards listed every week!All cards are at least nm/mt condition or better, unless otherwise noted. HARD TO FIND AUTO OF THE STAR ! If you are not satisfied with your order, call us as soon as possible at. 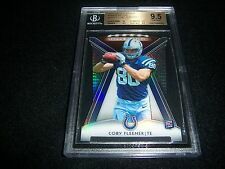 2012 Bowman Sterling Autograph Relics #BSARCF Coby Fleener - Rookie Card. IF YOU SELECT. This card is in Nice Condition. 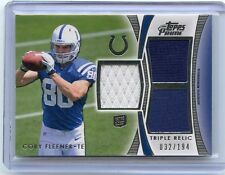 2012 Topps Five Star COBY FLEENER AUTOGRAPH Colts 07/25 inscription. Condition is Like New. Shipped with USPS First Class Package. 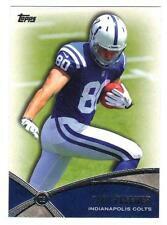 Player: Coby Fleener. Card#: 131. Year: 2012. Team: Indianapolis Colts.